Traditionally, a physical quantity is defined as any quantity that can be quantified by measurement and has a specific unit in a given unit system (such as MKS or CGS system). This is a superficial useless description. In my view physical quantities are ONLY those associated with CONSERVATION LAWS. Mass, charge, momentum and energy are such common examples. Space and time are NOT physical quantities. They are only mathematical tools (coordinate variables of infinite extent) to describe distance and time interval which are indispensible in theorizing and establishing a set-up to measure physical quantities. In that regard (3+1)D notation to describe four dimensional space is also meaningless since space and time are equivalent both conceptually and functionally. It is just 4D Space!. Velocity and acceleration are described in terms of distance and time interval. Therefore they are NOT physical quantities, either. Besides, the nature of a physical quantity CANNOT change (in other words, remains the same) when multiplied with a nonphysical quantity. For instance, mass is a physical quantity from the discipline of mechanics. Momentum and force, which are derived by multiplying mass with velocity and acceleration respectively, are again quantities of same nature. By same nature, I mean they belong to the same discipline. 1) The belief that a STATIC point source in motion RADIATES electromagnetic energy described via Lienard - Wiechert Potentials. What actually happens is that the static field lines (flux) generated by the point charge move in accord with the arbitrary motion of the source AS A WHOLE, without any deformation in shape. 2) Generation of magnetostatic field when a disk supporting free charges rotates uniformly around its own axis (known as Rowland's Disk). And in presence of acceleration there is believed to occur electromagnetic radiation mechanism. Actually, uniform rotation of such a disk of free static charges cannot generate magnetic field. One always observes the circulation of static electric field lines (flux) in space REGARDLESS OF acceleration. The first conceptual failure of Special Relativity reveals upon the application of Lorentz Transformations to Maxwell's Equations which involve convection currents. This is known as Maxwell-Minkowski Electrodynamics. While convection currents are fully capable of modeling mechanical motion of sources with ARBITRARY velocity, one applies Lorentz Transformation to understand the action of "rectilinear unaccelerated motion" over a system already "in general arbitrary motion"! Funnier is the fact that the motion in moving frame is described by Maxwell's Equations involving convection currents which obey Newtonian Mechanics in Euclidean 4D Space, while the motion in observer frame is described via Lorentz Transformations assuming that Newtonian Mechanics is incorrect. Sheer absurdity ! In Maxwell-Minkowski Electrodynamics, upon the application of Lorentz Transformations on Maxwell's Equations, electrical field in the moving frame is observed as magnetic field in the laboratory frame as multiplied by VELOCITY. This is only one out of countless examples to realize that Special Relativity is PHYSICALLY UNSUPPORTED. In material media electrical and magnetic fields occur due to microscobic mechanisms of DIFFERENT nature. In that regard, velocity, as a nonphysical quantity, is never capable of transforming an electrical field quantity into a magnetic one, same as an apple does not turn into an orange as it starts to move. It should not be forgotten that Lorentz Transformations DO NOT yield Galilean Transformations exactly in the limiting case as the relativistic factor Beta=1/sqrt(1-v^2/c^2) tends to 1. This means that Special (and General) Relativity is NOT A COVERING THEORY for Newtonian Mechanics. On the contrary, the physical evidences of these two theories are on opposite ends. Therefore anyone who "believes" that Special (and General) Relativity is correct, then he/she is in a position NOT to utilize any mathematical tool and physical law devised in Classical Continuum Physics in Euclidean 4D Space in describing any physical mechanism. This includes claiming the classical Faraday's Law (emf induction mechanism) and Doppler Effect from Hertzian Electromagnetism, which are widely used and tested every single day in every technological area since late 19th century till date, to be ERRONEOUS. UNFORTUNATELY, EINSTEIN DID NOT PROPERLY UNDERSTAND AND THEREFORE MISINTERPRETED ASYMMETRY IN ELECTROMAGNETISM IN HIS SO CALLED ORIGINAL(!) 1905 PAPER. HE TURNED PHYSICS INTO A BELIEF SYSTEM WHICH WAS NOTHING BUT A WASTE OF TIME AND ENERGY FOR THE "MAIN STREAM" ("DISCIPLES") WHO WORSHIPPED HIM, AND SO MUCH PAIN AND TORTURE FOR THE RATIONAL "DISSIDENTS" WHO STOOD AGAINST THIS CHURCH. It should be realized that invoking Special (or General) Relativity into classical electromagnetism is totally UNNECESSARY and yields INSUFFICIENT AND INCORRECT results that contradict with well established experiments in the context of Electrical Engineering. Relativity theory does not stem from the so called experimental proofs of unpresence of aether in the second half of 19th century, but its origin lies on the fact that Einstein was not able to grasp papers of Hertz and Heaviside on electrodynamics of moving bodies due to lack of background on advanced calculus. For those who believe that Relativity is correct, it should be reminded that a theory cannot be falsified by introducing another theory. This is not how things work in science. In the context of electrical engineering we already have a theory that has been working properly since 17th century based on Newtonian Mechanics. Therefore as a first step in the proof of Relativity one must demonstrate that relativistic formulations yield more accurate results by devising experimental set-ups that all sides consent on their accuracy. Until then Relativity has no chance to be taken seriously and have a place at least in Electrical Engineering curriculum. Lorentz Transformations are ONLY a set of MATHEMATICAL transformations between one point to another. Since space, time and velocity are only mathematical quantities as explained above, a transformation involving these quantities cannot have a physical meaning by itself, either. Such a transformation only has mathematical/geometrical significance. It cannot be interpreted as length contraction and time dilation specific to a material body. This was never pronounced in the works of Voigt, Larmor, Cohn, Lorentz, Wiechert and Poincare published prior to the so called miracle year 1905, when Einstein originated this idea upon the works of the aforementioned respected scientists WITHOUT MAKING ANY CITATION. Once you avoid the presence of aether, the concept of a preferred frame vanishes simultaneously. Consequently this brings about an aging paradox in Relativity while interpreting the action of motion for different observers. Twin paradox is one such famous example. (The answer to which twin has aged more at the end of the experiment). A proper theory, by definition, NEVER results in a paradox in itself. Especially, considering that acceleration is indispensible in a two way trip, relativists cannot even manage to give a proper example to explain their assertions. Such things only come up when one does not know what he/she is talking about. A system in rectilinear motion with constant velocity does not correspond to any actual PHYSICAL mechanism. This means that a relativist can study and explain, say the simplest case of EMF induction mechanism which occurs when a closed circuit rotates in presence of a static magnetic field, only in the context of General Relativity, compulsorily taking gravitational forces into account using Riemannian geometry and tensor calculus. By the way, EMF induction is bound to be taught in the curriculum of sophomore students! It is not by chance that the topics of Electrical Engineering are beyond the area of interest for Relativists. Another failure of making a physical correspondence to Lorentz Transformation comes up when one tries to extend its capability to bodies in arbitrary motion. Lorentz Transformations only apply for a POINT in unaccelerated rectilinear motion. Any attempt to generalize the velocity vector is MATHEMATICALLY UNSUPPORTED. "Instantaneous Rest Frame Approach" by Jean Van Bladel and "Quasi-Lorentz Transformations" by Dan Censor are two such examples. One can realize that these two respected scientists BOTH consent on calling their attempts HEURISTIC. Another mistake of Einstein is terminological: The combination of the words "Special" and "Theory" is an oxymoron. After all, special cases do not make a theory! Correct title would be "Special Case of Relativity Theory" but still that would be absurd since one introduces a very special case of a theory prior to the theory itself. It is not possible that Relativity can hold in other disciplines of physics, such as Cosmology and Particle Physics, while it does not make sense in the case of Maxwell Equations in macroscobic electromagnetism. Since it is essentially based on Lorentz Transformations, it is meant to hold simultaneously in EVERY branch of physics where the concepts of space and time are invoked. It is ALL OR NOTHING case. 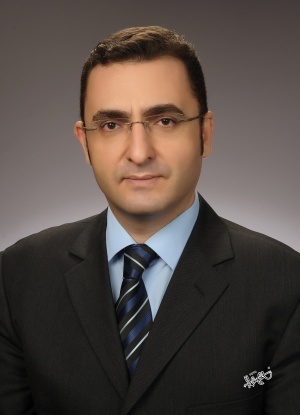 Burak POLAT, “On the Axiomatic Structure of Hertzian Electrodynamics”, TWMS Journal of Applied and Engineering Mathematics Vol.2 No.1, pp.35-59 (2012). Burak POLAT, “Scattering by a Moving Circular Cylinder in Hertzian Electrodynamics”, Selçuk Journal of Applied Mathematics Vol.13 No.1 (2012). Burak POLAT, “Scattering by a Moving PEC Plane and a Dielectric Half-Space in Hertzian Electrodynamics”, TWMS Journal of Applied and Engineering Mathematics Vol.2 No.2 pp.123-144 (2012). This page was last modified on 25 February 2019, at 02:18.